Selected grit quslity and size ensure a fast cut, long lifetime and multi-application use. High bonding strength between steel and tungsten carbide grit ensure a durable and safe application. Thin body design and expansion slots give a quick cutting speed and help avoid blade deformation. Fine carbide grits which are laser melted to the steel body. The unique combination of high quality materials greatly enhances user safety. 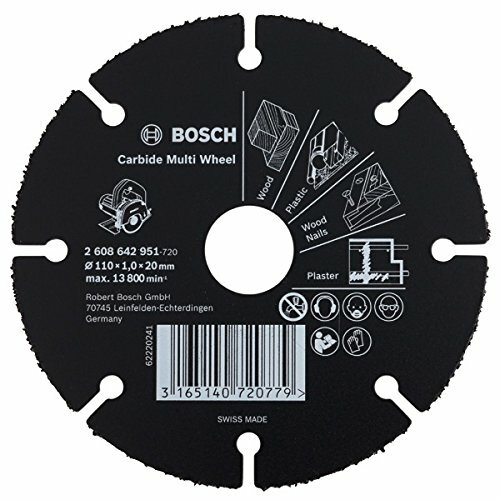 This disc is not only designed for quickly cutting through wood, but also for quickly cutting through many other construction materials. Efficiency is increased by removing the need to change blades. Jancy Engineering 69908120446 MCBL12-ALM Blade, Aluminum, 12"
Jancy Engineering 69908120445 MCBL12-TS Blade, Thin Steel, 12"
Lenox 966R 9 Inch X 6 Tpi Bi-Metal Recip Saw Demolition Blade 2-Pack 20598966R.